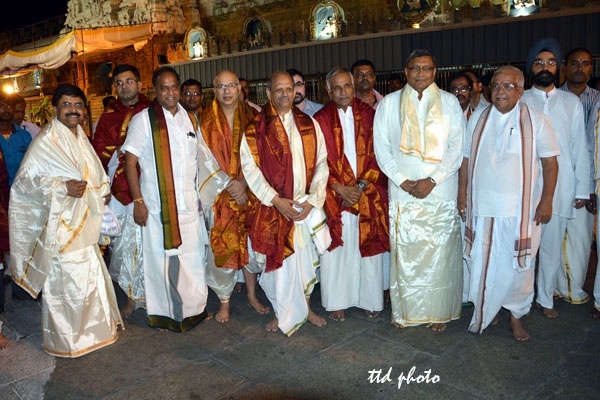 Tirumala, 11 September 2014: Finance Commission Members Ms. Sushmhanadh, Member, Finance Commission, Dr. M Govinda Rao, Member, Finance Commission, Dr. Sudipto Munble, Member, Finance Commission, Sri A.N. 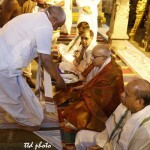 Jha, Secretary, Finance Commission, Sri V.S. Senthil, Joint Secretary, Finance Commission, Sri M.S. 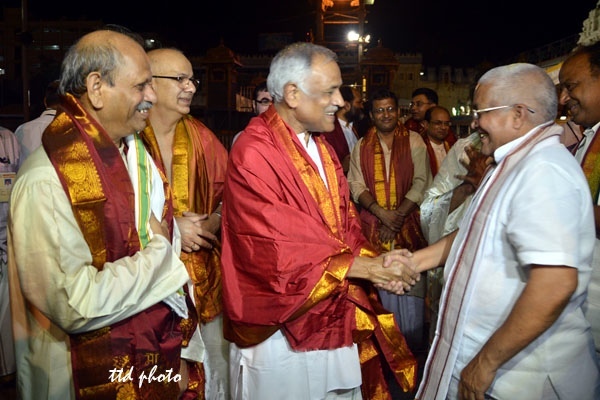 Bhatia, Joint Secretary, Sri Pinaki Chakravathy, Economic Advisor, Sri Deepak Narayan, Director OSD to Chirman, Sri Ashithosh joshi, Director, Sri Ritesh Kumar, Assistant Director, Smt. 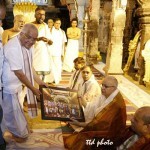 Geetha Govind, Addl. P.S. 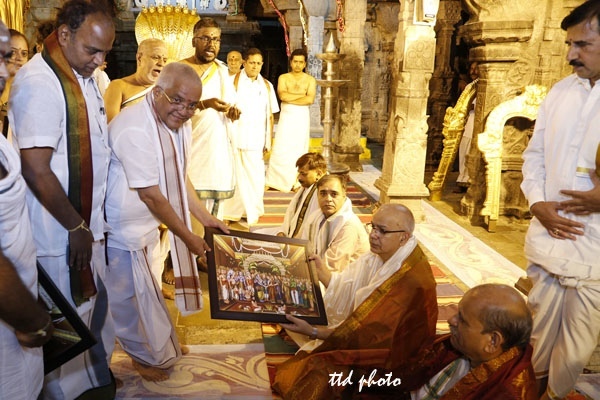 who arrived here on his visit Tirumala,offered prayers to the lord Venkateswara during evening Break darshan on Thursday . 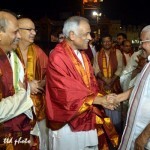 On his arrival infront of Sri Vari Temple the priests and officials have welcomed the members . 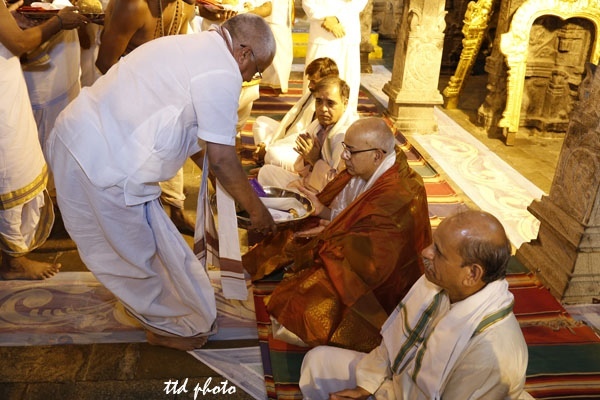 After dharshan of lord, TTD EO Sri MG Gopal and JEO Sri K.S.Sreenivasa Raju, has presented Sri Vari Prasadam and also Momento, the veda pundits of the temple have blessed him with Vedic Hymns at Ranganayakula Mandapam. 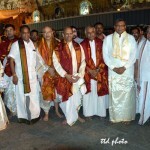 Temple DYEO Sri Chinagariramana, Reception Officials Sri Venkataiah, Sri Damodaram, Temple Peishkar Sri Rama Rao TTD Officials were present.